3. 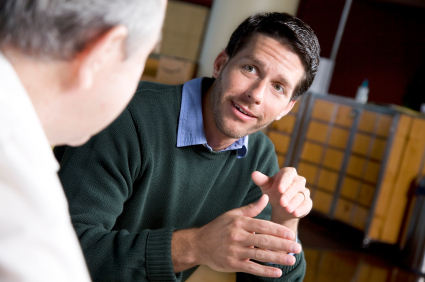 What are your primary duties at work? Burke: Everything. (Kidding). As President, I am involved in all aspects of running the business but a great percentage of my time is spent working closely with my clients to develop a strategy, shape a consistent message, work with our media relationships, and create exposure for our clients. I lead my team to help build digital platforms, online brands, and launch books on the web. We call our process Social Publicity, because it integrates social media and online publicity in a fundamental way. It's a unique and proprietary model of publicity. As a result of influential social media tools, the responsibility of a publicist is moving and growing, creating a very robust and exciting time for the industry. I also speak nationally, consult, and write for national publications. 4. How long have you been promoting books about leadership? Burke: We have worked on leadership titles since FSB Associates began. 5. What are the recent trends in leadership books? Trend 1: Millennials in the workplace. 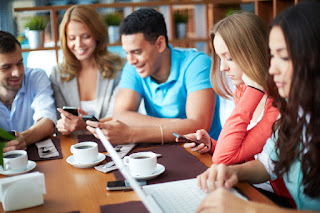 I think the millennials in the workplace is a trending story, specifically millennials in leadership roles. I have worked with young CEOs (sometimes under 30), and it changes the dynamics of the workforce. Millennials are tech savvy and want their work to be meaningful and make an impact. Millennials want more inclusion (more team-oriented than top-down companies), diversity and transparency in the workplace. Transparency is an important area and I think changes the way leaders interact with employees as well as customers. 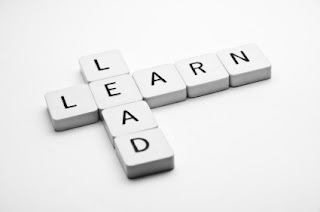 Leaders today are more apt to train, teach and engage with their teams informally. Businesses that establish a mission statement and proactively establish a culture for their business is another aspect of transparency that we are seeing more of today. People become part of a company's culture and position their strengths to make a business successful because they feel like they have more of a stake in the business. Trend 3: Women Taking Lead. As we see from the success of Sheryl Sandberg's book, Lean In: Women, Work, and the Will to Lead there is more talk about getting women into power positions, specifically getting a larger percentage of women to the top of their industries and breaking through that glass ceiling. We are seeing more of a push for women to go after what they want and claim their power. As Sheryl Sandberg says, "Real change will come when powerful women are less of an exception." Or, as she says, when women are known as "leaders" not "women leaders." 6. How best should today's leadership book authors compete with the vast array of other non-book leadership advice options on the Internet? Burke: Leadership books are no different than all the other non-fiction categories. There is a lot of information available for free, and although people are reading more, the rate of reading online is steadily increasing. However, it is also true that we are all drowning in content. Sit to watch something on Netflix and 20 minutes go by before you find something of value. Start to look for information on the web and you can spend hours chasing down valuable information. Which is why, I think, curation is more valuable than ever. We don't have time to waste, so if an author has built trust with their readers by providing valuable information, readers, specifically business leaders, would rather spend the money than spend the time looking for what they need from an overwhelming amount of mediocre information. Good content is valuable content and content is always king. 7. What new leadership books are you most excited about and why? Burke: I am a big fan of my clients' books, of course. There is a really interesting book coming from Robbie Bach who was the President of Xbox and worked at Microsoft for 22 years. 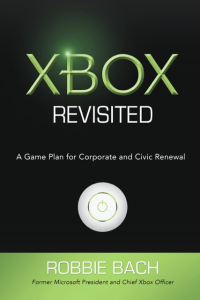 Robbie's book, Xbox Revisited is part memoir, part strategy, part inspirational call to action. Robbie's book works because he's really honest about his own challenges. He even put in his resignation letter to his boss. I don't think I have ever read that in a book. His book challenges every citizen to become a civic engineer, addressing the challenges we face in our communities and across the country. Tom Rath, a leadership expert and former senior scientist at Gallup, is another client of ours who recently released a book called Are You Fully Charged? The Three Keys to Energizing Your Work and Life. This fall, he is actually releasing a documentary about the important information in his book about how we can how to help people identify their natural strengths and gifts, live their potential, and shift from a pursuit of happiness to a life of meaning. He reveals that the foundation of living your best life is to put your own health first. 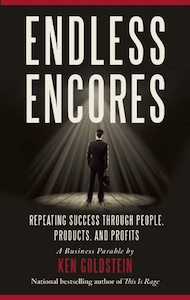 Another interesting book we are representing is Endless Encores: Repeating Success Through People, Products, and Profits. This little parable by Ken Goldstein is the story of a man who has accomplished much, but now fears exposure as a fraud and the woman, who, as a CEO with multiple successes for her credit, shows him the secret to consistent achievement. Another important and empowering title we represent is Leading Women: 20 Influential Women Share Their Secrets to Leadership, Business, and Life by Dr. Nancy O'Reilly. Her book encourages women to claim their power and respect, conquer internal barriers, and change the world by helping other women do the same. This book has stories from 21 women business leaders such as New York Times bestselling author Marci Shimoff and advocacy leader Gloria Feldt. It's incredibly inspiring. 8. If you could recommend only one best book about leadership so far this year, what would it be and why? Burke: Early this year I read Driven to Distraction at Work by Ned Hallowell, and found it very helpful. Dealing with distraction at work and life has been a big theme for me for several years so this book resonated with me. I wrote a blog several years ago called Looking for Balance in a 24/7 World and just came back from a week's vacation where I was able to unplug from email, blogs and social media. It was a bit of an effort at first, but totally worth it. 9. Why are books in print still relevant? Burke: I am a big fan of ebooks, although format of books is less interesting to me. How we read (or listen) to books is less important than the fact that we read good books with curated information. None of us have time to waste, so books that provide content of high value are more important than ever. For many people who love to read, print books will be the only type of book they will ever love. I don't think this is likely to change. Printed books often have more substance to the reader; there is something about smelling a book, holding it in your hand, having it remind you of libraries, or just being able to physically collect books on your shelf. There is something about owning a book in physical form (not just the access to read it.) Really, ebooks and print books are apples and oranges -- two entirely different experiences and one doesn't have to replace the other. People can freely choose when and what type of book to read. As long as they are reading! Burke is a nationally-recognized speaker and digital branding expert. She writes regularly for Huffington Post, MariaShriver.com and MindBodyGreen. 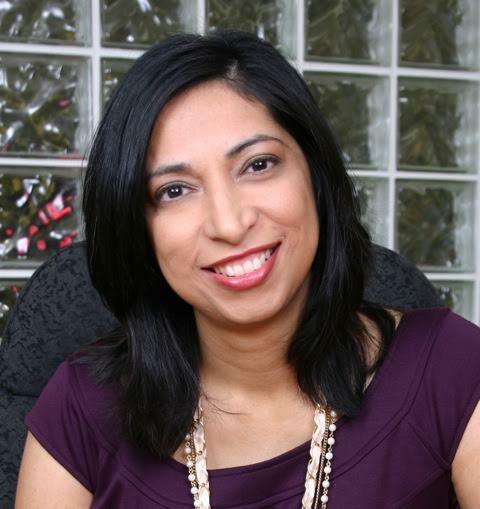 To talk with Fauzia and ask your online publicity questions, please reach her on Twitter and Facebook.